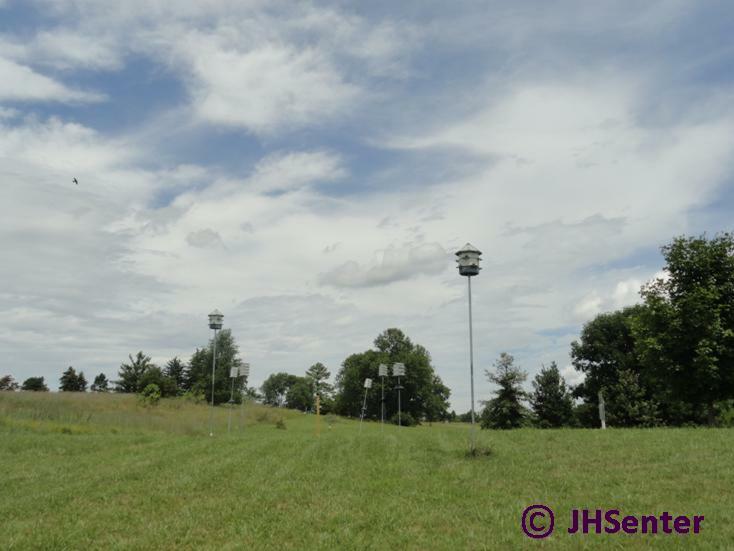 The Purple Martin colony at Blandy consists of eight apartment houses. Each house contains 8-16 apartments. They are mounted on telescoping poles for a once a year cleaning. Otherwise, the houses are not monitored. Martins prefer their nests in an open area away from buildings and trees and nests/houses should be placed 10'-20' above the ground. 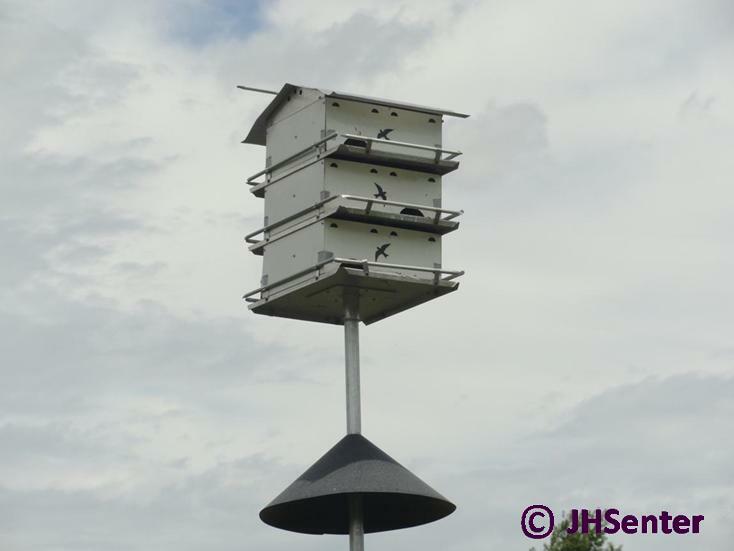 Purple Martins (Progne subis) are the largest member of the swallow family in North America measuring 7 1/2" long and 1.9 ounces. Regarding feeding, they as all swallows, are aerial insectivores, feeding on insects in flight. Martins are daytime feeders and feed high in the sky and can be vulnerable to starvation during prolonged periods of rain and cool weather. Purple Martins breed in Canada, the United States, and Mexico, and winter in Brazil. Most adults do not look for new breeding sites but will return to their site from the previous year. Yearling Martins will typically colonize new breeding sites. A pair of Martins are monogamous and both help with building the nest with mud, grass, and twigs. The female lays 2-7 pure white eggs at a rate of one per day. The clutch is incubated for approximately fifteen days until hatching. The parents both feed the babies continuously for 26-32 days until they fledge. 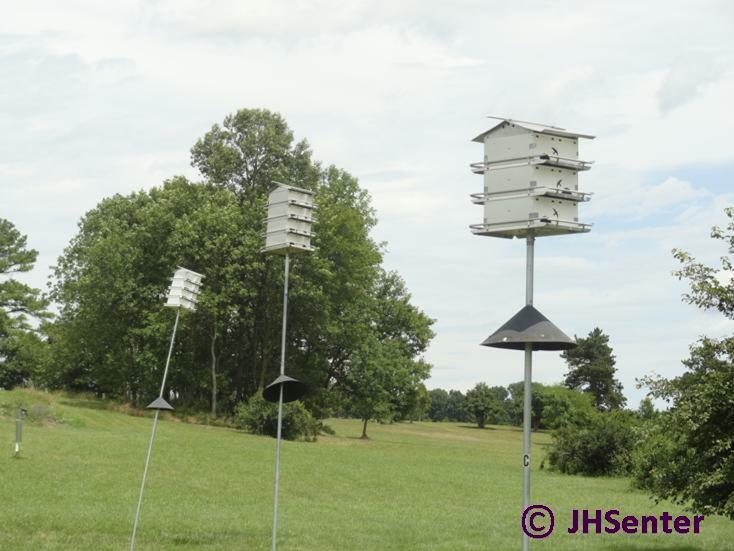 March 15 - April 1 is the approximate time-frame in this part of the country that older adult Purple Martins will begin to return to their nests from the previous year. South of our area, they will arrive earlier in the year and it can be as early as February 1 in southern Florida. 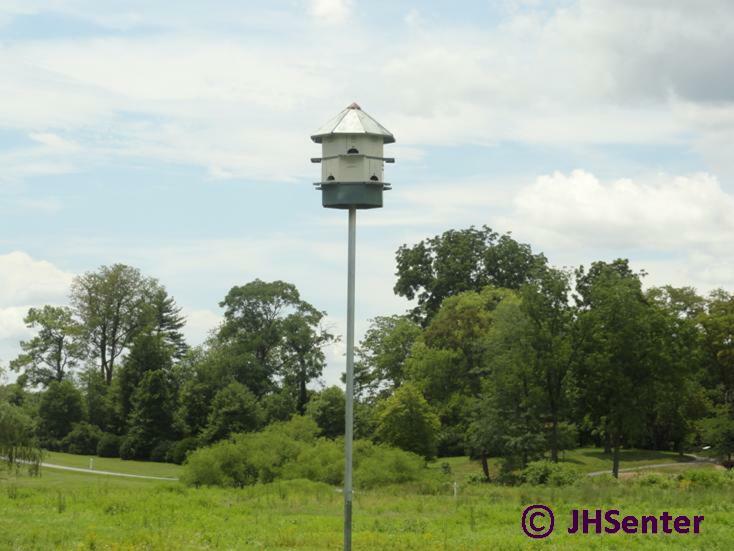 To the north of our area, the Purple Martins will arrive closer to May 1 in the northern New England area. 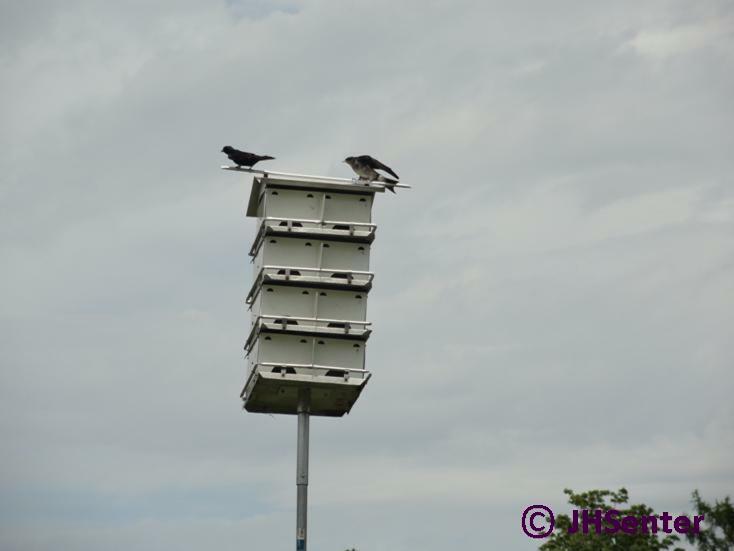 There are three subspecies of Purple Martins. East of the Rocky Mountains, the Progne subis subis will nest only in supplied houses and gourds, as use of natural cavities is rare. 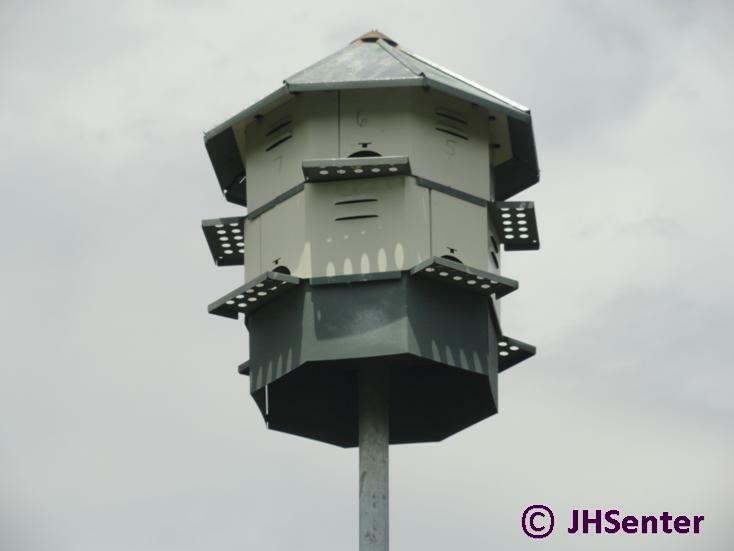 Purple Martins west of the Rocky Mountains including Progne subis arbicola and Progne subis hesperia, will nest in various natural cavities including old woodpecker cavities within Saguaro cacti and single houses and gourds, but do not use multiple room house-type nests as in the East.